My dad lost his 4 year battle with cancer on Thanksgiving, in the wee hours of the morning. He was the epitome of love and gave the world 89 years of happiness. I never heard him raise his voice in anger, never heard him use profanities, and always saw him treat mom like a lady should be treated. He was a gentle giant who always loved his family unconditionally, adored his 3 daughters, and delighted in his 3 grandchildren and 6 great-grandchildren. In 1999 he was inducted into the Ohio Bowling Hall of Fame – what an honor. He was a life-time member of the Dayton, Ohio Bowling Association and bowled in the national ABC Conventions for 49 years. He was a tool inspector for NCR and General Motors, free-lance photographer, and an avid golfer, bowler, husband, father, grandfather, and great-grandfather. My dad never smoked or drank alcohol and lived a loving, honorable life – always faithful and always there for his family and anyone else in need. He put everyone else first and his last self-less act was to donate his body to the Boonshoft School of Medicine at Wright State University in Dayton, Ohio. Hopefully they will be able to use his remains to find a cure for prostate and spinal cancer and help others who are afflicted with this terrible disease. 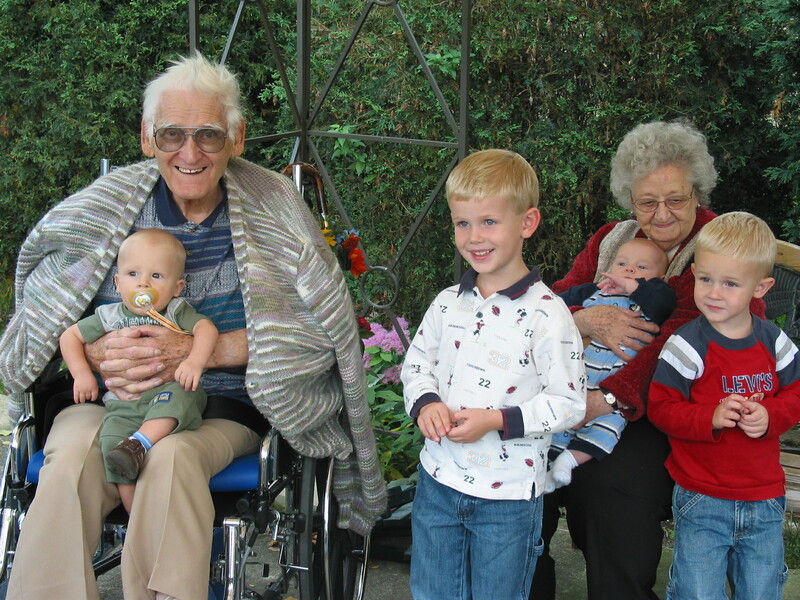 Dad remained cheerful throughout his 4 year ordeal – he will be loved and missed by his family forever. I may have lost my father and good friend, but my family and I have gained a guardian angel for life. These are difficult days for all of us, but particularly for mom. Dad, rest in peace, we love you.